I came across an image of a dead elephant: a wrinkled gigantic heap of magnificence lying crushed against a Mopani tree. I could feel my heart thumping as a storm of memory shot me back in time and I was once again a little girl of five or six crouched down in the African dust, the warm coppery sun beating down on my back staring into unseeing eyes forever frozen in time. I could feel tears rolling down my face leaving snail trails through the fine dust that freckled lightly across my cheeks. 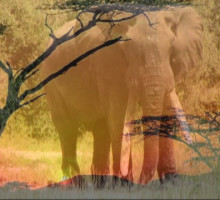 I recall how I stretched out my hand wishing that the elephant was just drowsy with the summer heat and I gently touched what had been a powerful and versatile trunk, its fine wiry hairs scratching my fingers. This magnificent animal still wore his scythe like tusks, cracked and worn with time. He had been tearing up grass as he ambled through the mid-morning heat and a green gooey mess oozed out of his slack mouth. He had become a problem bull in the farming area where I grew up, and a danger to humans…hence the fact that he was now dead. The locals were arriving in full force, a noisy teeming humanity pulsating with life. Not like the bull. I remember the gut wrenching helplessness as my echo of harmony was lost and I no longer felt like a child. The first axe fell and the fresh smell of blood grabbed me by my nose. My dad scooped me up and we disappeared through the melee of African people. I started to weep, huge sobs wracking my skinny little ribcage as I watched over his shoulder at the mass of people teeming like a colony of ants over the carcass. I did not understand how they could do that…but I had never known hunger. That moment in time is set in my memory like a snap shot. I cannot even remember why my dad and I were there. He had not shot the elephant and it was not on our farm. I do remember that the corners of my mouth had sagged and I made a childish promise to that dead elephant: I would always fight in their corner, and my promises were always carried out..even back then. I was a feisty kid. 50 years on and I can still feel that heavy silence of loss that large jumbo and his unseeing eyes had engendered in me. I have experienced the bush with no wildlife…and sometimes there is no peace in silence. We went camping in Mozambique during the early to mid nineties. The long and harrowing civil war had finished and in it’s wake a country crippled and cloaked in human and animal tragedy…crypt-quiet, motionless and eerie. Not an animal or a bird to be seen. This was Africa at it’s most cloying, sticky and tragic. The wildlife did recover but that trip made a lasting impression on me…an impression that is not easy to erase from the mind, and especially when you read about the rampant poaching taking place in Mozambique, even as I write. I am now living in the UK and still crazy about animals and especially elephants. About eight months ago, I was scanning the internet and came across a blog called ‘Anomie’s Child’. It took me straight back into the vast wilderness of sun kissed grass and sturdy trees. I pounced on Gary as he walked through the front door that evening, my voice choking with excitement as I bounced around him like an annoying and excited puppy. ‘Anomie’s Child’ for me was like a soul open wide to the breeze and I read and re-read many different stories, embracing each of my favourites. There were times when I could feel the frustration gripping the words and sadness at other times. Even from thousands of miles away, I could feel the throb of Africa beneath my feet and the earthy richness of fresh elephant dung would fill my nostrils. It was this blog that made me pick up a pen. The cyanide poisoning of our Zimbabwean elephants was for me, a turning point. I could not ignore what was taking place in my beloved country. Having been told there was nothing I could do about the poaching, I decided that I was not going to be a person who pretended that this atrocious attack on our wildlife was not happening. I decided that I would write a poem a week to raise awareness on the destruction for as long as it takes…a huge undertaking for me as I had never written poetry in my life…apart from a few rhymes for ‘kitchen teas’ and ‘baby showers’ back home. Having made this decision, I was always scanning the internet for news about elephants. During one of these searches, I came across ‘Chengeta Wildlife’. The name jumped out at me, as being a Zimbabwean, chengeta (look after) is still very much a part of our every day vocabulary, and even our two little grandies use ‘chengeta’ with their very english accents which always brings a smile to my face. It was here that I also came across a woman called Lisa Groenweg, who had been repelled by the rampant slaughtering of elephants with cyanide. She had asked Rory Young (a fellow Quora member) what she could do to help. Rory Young, I thought to myself as I was reading about Lisa Groenweg. Why the hell do I know that name? ‘Anomie’s Child.’ He is the guy who writes the blog. 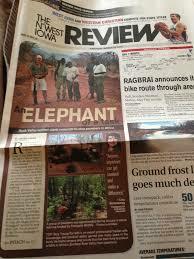 Lisa Groenweg had decided that she could not look the other way and started Chengeta Wildlife. She shook up fellow Quora members by raising a huge amount of money in 24 hours….showing that where there is a will to participate and make a difference..it happens. Chengeta Wildlife is a group of people from around the world who formed a nonprofit organization to support Rory Young and the work he does. 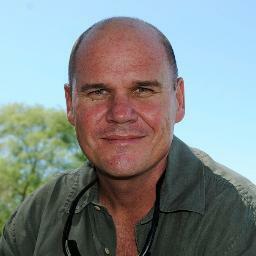 He has skills and knowledge that the teams protecting wildlife badly need to protect themselves and wildlife. If enough funding is generated we would like to purchase tactical equipment needed by the teams. Things like night vision goggles, thermal sensing equipment and motion sensing cameras. Chengeta Wildlife is run by volunteers. So far 100% of funds raised have gone directly to the field where it is desperately needed. WE HAVE ZERO OVERHEAD COSTS! A manual well worth reading..and full of information. This manual provides intense and detailed evaluation of how to decipher even the smallest and at times what might appear to be unimportant detail and encompass it all into the strategy. In the preface they talk about the fact that our existence clings to the fragile towers that are made up of innumerable life forms that we share this beautiful world with. When individual species are destroyed, we change their impact on the ecosystems and eventually the towers will begin to crumble and fall…causing a domino effect. We have to be incredibly egotistical to believe that we can survive without these ecosystems. I loved the analogy between Robin Hood and the poachers. It made it so simple to understand that the people in the community have got to view the authorities as the representatives of and partners of the community. It is also important that the community see the poachers as a threat and not the other way around. It does not matter how well equipped the authorities are..if they don’t have the people on sides..it will be a waste of time and money. The Sheriff of Nottingham failed to apprehend Robin Hood..and failed to punish him..and as a result there was was also a failure of deterrence. This manual should be a companion for every ranger throughout Africa. I think back to my childhood encounter with the dead elephant and smile at my promise which is now taking form. I cannot begin to imagine what it must be like to deal with the mutilated bodies of these magnificent animals…and all to feed the unquenchable demand for ivory trinkets and jewelry. The following infographic has been designed for Chengeta Wildlife with thanks to Joe Chernov, Robin Richards and Leslie Bradshaw. Please share it by any means that you can. But for anti-poaching activist and forestry expert Rory Young, his passion for saving the African elephant from deadly poachers involves a detailed field manual and arming local teams with firearms to combat what he calls, “well-armed, ruthless and experienced gangs of poachers. I made a commitment to a dead elephant 50 years ago…the memory of that day is still strong in my mind. For me, they are Beautiful Elephants. (My Poem) People, please make a commitment to our wildlife and let us ensure that we help to protect our heritage. Let Us Do Right By These Animals…. A Future For The Little Ones…..
Heidi on United We Stand…. Bob and Mo Nilson on United We Stand…. M.Atkins on United We Stand…. Julien Crowther on United We Stand…. Barbara Swan on United We Stand…. Who Will Keep Watch Over the Presidential Herd?